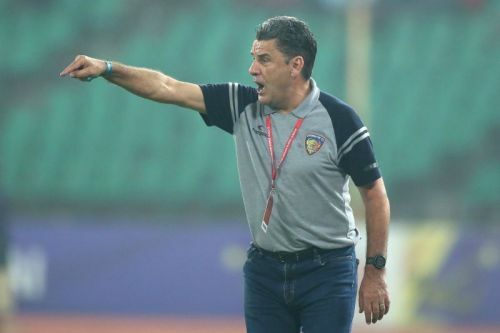 Chennaiyin FC coach John Gregory has confirmed that the will leave the club by the end of the season. The 64-year-old, who played for Queens Park Rangers and Derby County in his heydays, announced the same in the post-match press conference after his lost 1-0 to FC Goa at the Fatorda Stadium. “I won't be here next year. So, I don't know what will happen next season. My contract is up this summer,” said the Chennaiyin FC boss. John Gregory led Crawley Town to promotion from League Two to League One in the 2013-14 season. In the ensuing 2014-15 season, he parted ways with the club midway owing to health problems. After a two-year gap, John chose India as his next destination and penned a one-year contract with Chennaiyin FC as their manager. His first task in hand was to stabilize the defense which leaked 25 goals in 14 matches in the previous season. Under his tutelage, the side not only improved their defensive shape but also took home the trophy after defeating Bengaluru FC 3-2 in the final. Chennaiyin FC awarded him a one-year contract extension owing to his stupendous performance. However, their title defense began on an abysmal note. It took them seven games to find their first victory over a lackluster FC Pune City side. And, in the six games before that, they had only one draw in their bag, losing the remaining five. They would pick up their next victory over Bengaluru FC post the international break, which would also turn out to be their last one. After the loss to FC Goa on Thursday, Chennaiyin FC completed their 2018-19 ISL campaign with only two victories and three draws. This was also the first time that the defending champions finished in the bottom of the pile. When asked about this, John Gregory stressed that he wasn't very proud of this statistic. "To me, it's a personal insult. I am a very proud man but not very proud of my team finishing at the bottom of the table. As we speak, we obviously finish in the tenth position. So, it's a statistic I am not very proud of. But, I have to get on with it," said the man who represented the senior English team six times. In previous press conferences, John Gregory had mentioned that he would have been sacked by the management if ISL had a promotion-relegation rule. But, since ISL is a closed league, he was lucky to get away with it. John would remain Chennaiyin FC's gaffer in the forthcoming 2019 AFC Cup and the Hero Super Cup. Only time will tell where his next adventure would be.